Pass to remove unused function declarations. 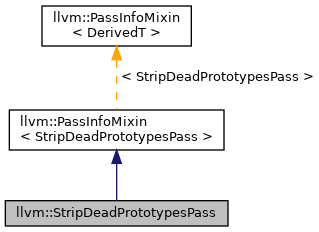 Definition at line 25 of file StripDeadPrototypes.h. Definition at line 55 of file StripDeadPrototypes.cpp. References llvm::PreservedAnalyses::all(), llvm::PassRegistry::getPassRegistry(), llvm::initializeStripDeadPrototypesLegacyPassPass(), llvm::PreservedAnalyses::none(), and stripDeadPrototypes().